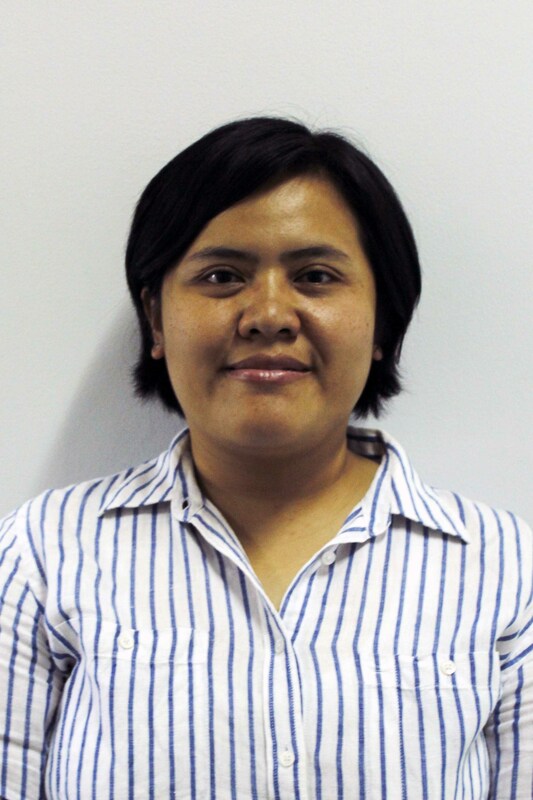 Profil Dian Rosleine, S.Si, M.Si, Dr.
Dian Rosleine, S.Si, M.Si, Dr.
Ecology and management of grassland and abandoned area; succession; forest rehabilitation; plant biodiversity; and tropical forest community and Dynamics. Dian Rosleine and Eizi Suzuki. 2012 . Secondary succession at abandoned grazing sites, Pangandaran Nature Reserve, West Java, Indonesia. Tropics 21: 91-103. Dian Rosleine, Eizi Suzuki, Atih Sundawiati, Wardi Septiana, and Desy Ekawati. 2013. The Effect Of Land Use History On Natural Forest Rehabilitation At Corridor Area Of Gunung Halimun Salak National Park, West Java Indonesia. The 9th International Flora Malesia Symposium. Bogor, 27-31 August 2013. Dian Rosleine and Eizi Suzuki. 2012. Forest rehabilitation process incorridor area of Halimun Salak National Park. The annual meeting of Ecological society of Japan. Ryukoku University, Otsu, Japan. Dian Rosleine and Eizi Suzuki. 2011. The current status of grassland vegetation in Pangandaran Nature Reserve, West Java. Joint workshop International Training Program Kagoshima University-SITH ITB. November 2011, Bandung, Indonesia. Ryohei Nakazono , Dian Rosleine , and Eizi Suzuki. 2011. Invasion of teak ( Tectona grandis ) into Pangandaran Nature Reserve, West Java. Joint workshop International Training Program Kagoshima University-SITH ITB. November 2011, Bandung, Indonesia. Masatatsu Kawasaki, Dian Rosleine , and Eizi Suzuki. 2011. Study of vegetation structure in Pananjung Pangandaran Nature Reserve, West Java. Joint workshop International Training Program Kagoshima University-SITH ITB. November 2011, Bandung, Indonesia. Kawasaki Masatatsu, Dian Rosleine , Eizi Suzuki. 2011. Plant Biodiversity in Pangandaran Nature Reserve Area, West Java, Indonesia. The annual meeting of Japanese society of tropical ecology. Okinawa, Japan. Nakazono Ryohei , Dian Rosleine , and Eizi Suzuki. 2011. Ecological study of Teak invasion in Pangandaran Nature Reserve Area, West Java, Indonesia. The annual meeting of Japanese society of tropical ecology. Okinawa, Japan. Saleh, FR, Choesin, DN, Irwanto, RRP, & Rosleine, D. 2017. Potensi simpanan karbon di hutan mangrove Taman Nasional Baluran, Jawa Timur. Seminar Nasional Biodiversitas. Dian Rosleine . 2013. Spesies invasif dan gangguan manusia di Gunung Geulis, Jawa Barat. Seminar Nasional Ekologi dan Konservasi. Makassar, 20-21 November 2013.